The superstitious say that it can cause anything from political upheaval to earthquakes. But for many people it’s just a spectacular site to behold. The most amazing supermoon in decades will be visible on Monday night. Excerpts reckon that the last time a supermoon is spectacular as this was spotted was the Cold War was just starting to warm up. According to Nasa the last time the moon was as close to earth as it will be on Monday was 69 years ago. The moon will be roughly 356 509 km from the middle of the earth and its close proximity is likely to cause high tides. In layman’s terms the moon should appear brighter and larger than a regular full moon. According to a statement issued by Nasa, the supermoon should appear 30% brighter and 14% larger than a normal full moon. The extent to which you’ll be able to notice the difference depends entirely on where you’ll be enjoying the supermoon from. If you’re viewing the supermoon from a built-up city it might be a difficult to enjoy this amazing natural event. But if for example you get to the view this celestial event from across the horizon with a row of trees in the foreground, then it should be breathtaking. Be sure to take a look at moonrise -- the best time to see it. That's 6.26 in Durban, 6.33 pm in Joburg and 7.25 pm in Cape Town. Google "moonrise in (your city)" to get an accurate time for your area. While supermoon celebratory parties are being planned for all around the world we should all at least make sure that we have a pair of binoculars or amateur telescope and a camera at hand on Monday night. Read here for a pair of handy photography tips on how to best capture Monday’s supermoon. 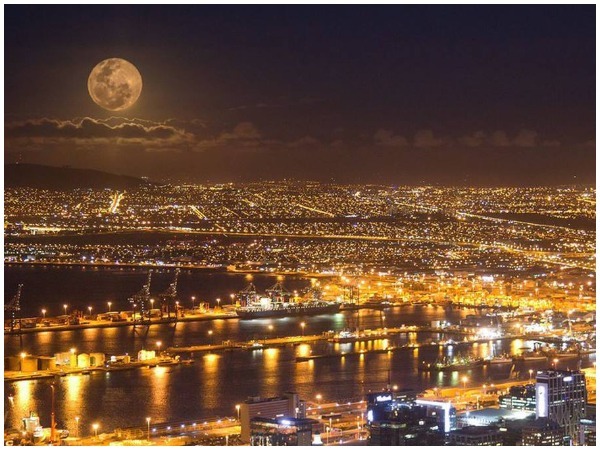 YOU invites readers to email us their own supermoon photographshgnbrief@huisgenoot.com. Pick the best two or three pictures and make sure they’re collectively not larger than 3MB.